On Thursday 12th Science results were declared in Gujarat and students reached their respective schools to collect their results. Some score high some less but everyone seems happy to pass their exams and now aiming for higher studies. However in between there are some inspirational stories who defying odds appear in their board exams and passed it to fulfil their dreams. Urvi Patel is such an inspirational story as she lost her father three years ago and her mother remarried and left her. 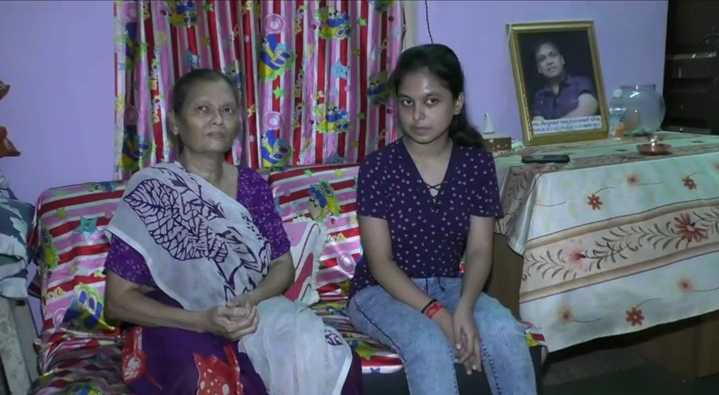 Her aunt and grandmother is the only one to taking care of her studies and she appeared in her 12th Science board exams and passed it with good percentage. 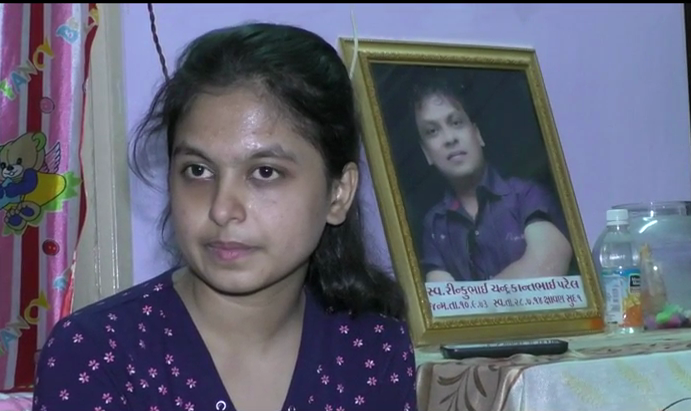 Missing her parents she makes herself strong to fulfil her father dream to be a doctor. 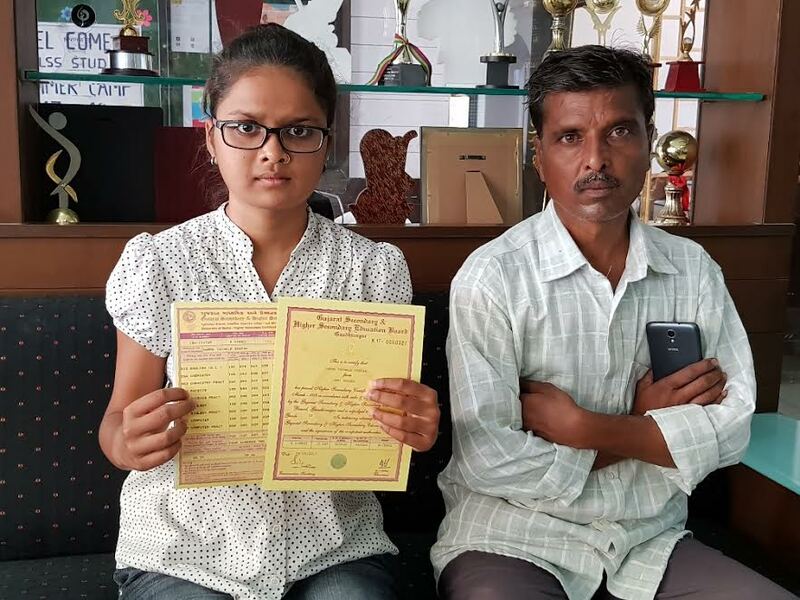 She is the student of Jay Ambe School in Vadodara. “My father died of heart attack and he always wanted me to become a doctor in life. After I lost my father I made his dream as mine and appeared in my board exams to fulfil it. My aunt and grandmother took good care of me and never forced me for studies and always supported me to be whatever you like to be in life. 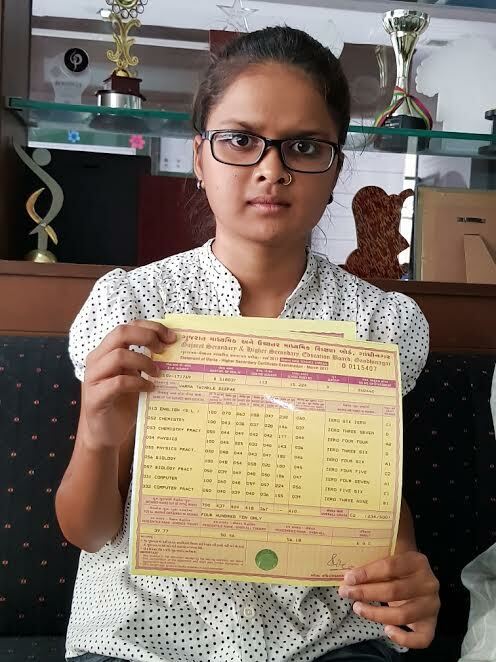 After getting good percentage I m now going for MBBS and then MD in Cardiology or Superspeciality,” said Urvi. 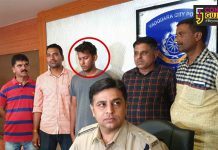 Second such case is of Raunak Agrawal whose father works in a vegetable shop and earns a meagre income to support his family. His father took loans from relatives for his studies and asked him to pursue his studies and become a successful man in life. “It’s a good thing to see smile on my father face after he heard about my result. It’s a challenge for me as my father took loans from our relatives to support my studies and always encouraged me to study. Once there was a time when I almost made my mind to do job to support my studies as well as family but my father stopped me and said to fully concentrate on my studies. 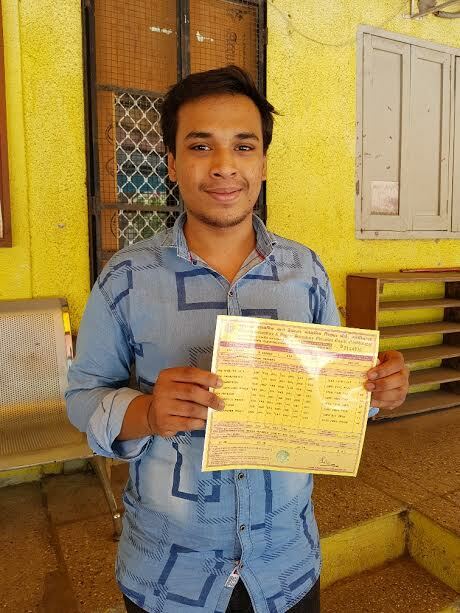 I want to pursue B.Tech in Computer Science but now once again I am in the same position as my father will have to take loans once again for my studies,” said Raunak. Raunak also met with an accident during his exams and injured his leg. He curse himself as that time big amount was spent on him in the treatment and his father has to borrow money from others. He also said that in the time of need none of his father’s friend has supporting him which hurts him a lot. 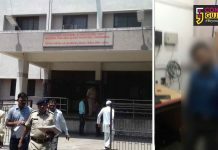 He belongs to the same Jay Ambe School. The third story is of Twinkle Verma whose father works in a garage and to support her studies driving the school van in the morning. She is the student of Urmi school in Vadodara. “We are originally from MP but our born and brought up is here in Vadodara. I worked in a garage to support my family but with this small income I found difficulty to support the studies of my daughter. Then I decided to drive school van in the morning and purchased a van also. The scholl van driving gives me some extra income to support the studies of my daughter,” said Deepak Verma father of Twinkle. She wants to do Microbiology in future.